From the instant equipment is energized for the first time it begins an unavoidable progression towards failure. Monitoring the status of equipment not only complies with industry standards and regulations, but allows repair or replacement of hardware before it reaches a critical state. Doing so increases equipment “up time” and allows workers to do their jobs more safely by preventing them from exposure to equipment that has deteriorated to the point of a potentially dangerous failure. 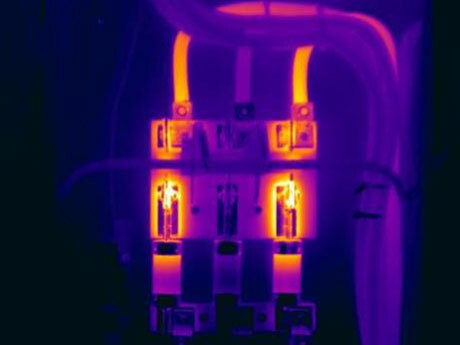 As equipment hardware performance declines, it begins to produce excess heat which can be detected with an IR inspection. 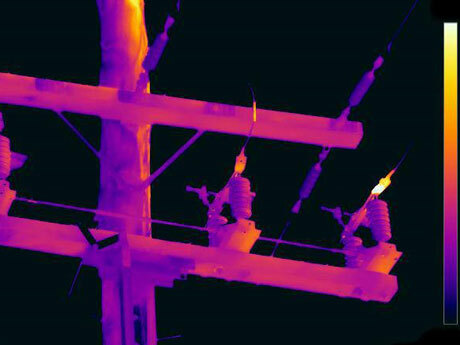 TESSCO’s certified Thermographers can work in conjunction with your organization to develop and implement a quality Electrical Preventive Maintenance (EPM) program tailored to meet your specific needs. Industry regulations continue to increase emphasis on the necessity of quality maintenance practices. Adopting an IR EPM program provides compliance with these regulations. Additionally, investing in preventive maintenance allows workers to do their jobs more safely, increases operational efficiency, extends the life of equipment, and allows workers to schedule repairs. On average, scheduled repairs are nearly half the cost of unscheduled repairs. IR preventive maintenance is proven to have an excellent return on investment and provides a wide range of benefits. Our IR team has worked with some of the largest companies in the Permian basin and is ready to work with your organization so that you can reap the benefits of IR inspections and EPM’s.